Marathi Language Literature is being taught since 1930. The P.G. course was introduced in 1977. Previously Marathi section was under the Department of Indian Languages. A separate full-fledged Department was established in 1982. It is the only Department in the whole of Northern India where M.A. courses are being taught and research is being done. Among the eminent scholars associated with this department was Dr. B.G. 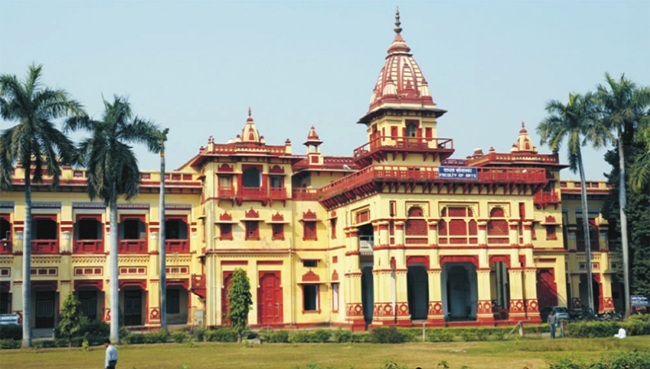 Khaparde who was the first teacher who joined this University on the request of Mahamana Pandit Malviyaji. After joining of Dr. B.G. Khaprde following teachers joined this department Dr. B.G. Deshpande, Dr. D.B. Kulkarni, Dr.W.K. Lele, Dr. Sunanda Das & Dr. S.P.Bhruguwar, DrP.B.Desai. Currently Dr. Pramod Padwal is an Assistant Professor in the Department. Our faculty member Prof. W.K. Lele received one National Award from the Ministry of Education, Government of India and State awards by Government of Maharashtra and Dr. S.P. Bhruguwar got U.G.C.grant for publication of his book Govindagrajanchi shaili in 1993. Major thrust areas of the department at present pertain to a linguistic study of Banarasi Marathi dialect and a study of the contribution of the local native speakers to Marathi Literature. Conference of Marathi teachers of the universities outside Maharashtra to study the problems of teaching to non-natives as well as Marathi-speaking students who settled in Hindi-area long back. To encourage the students to focus on comparative study of Bhakti-cult in Maharashtra and Northern India. We have rich departmental library. At present the M.A. students of Hindi, Nepali & Telugu Department are being taught Marathi by department of Marathi in Second, Third & Fourth Semester.